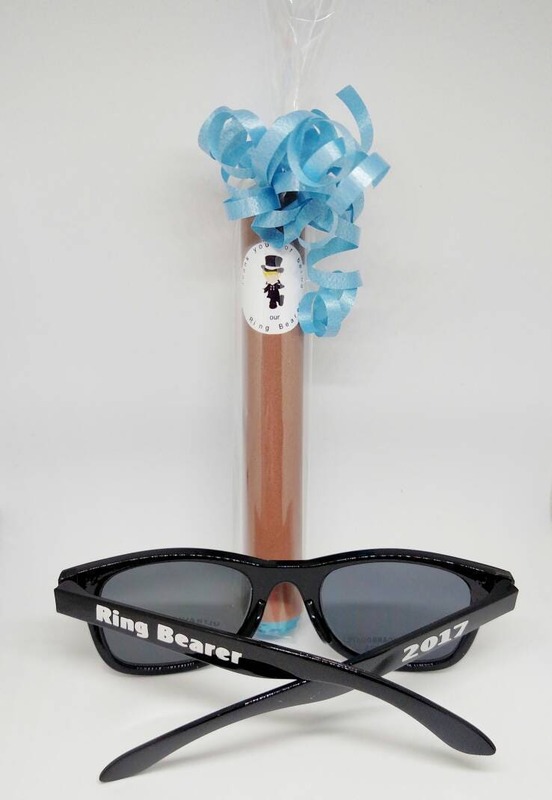 Ring Bearer Gift - Ring Bearer - Junior Groomsman - Personalized Ring Bearer Gift candy "cigars" also great for baby announcements! 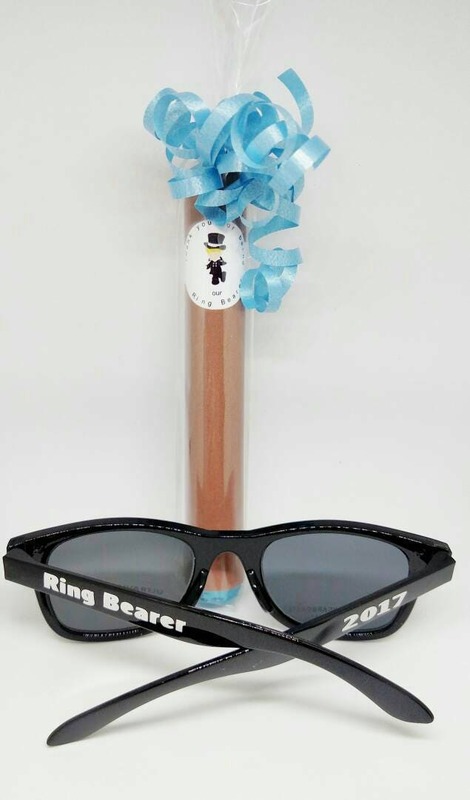 This is for the sunglasses and one mentos cigar with either strawberry or mint flavored. It can be personalized. Please convo me if you need more. The sunglasses are kids sunglasses. We can personalize these (up to a point). As you can see there is some room. So we will do our best to fit what you want. And will always show you a proof before finishing. If you need more, please let me know. If you live outside the US, I can check the shipping by weight to see which is less. Feel free to convo me. Please convo me with questions!